life in Mexico | ¡VidaMaz! Research has shown that gratitude—taking the time to reflect on what we are thankful for in our lives—has physical, psychological and social benefits. Feeling grateful provides us stronger immune systems, fewer aches and pains, lower blood pressure and better sleep; more positive emotions, feelings of alertness, joy, pleasure, optimism and happiness. Thankful people are more helpful, generous, compassionate, forgiving and outgoing; they feel less isolated and lonely. Gratitude is a major aspect of most every world religion. The three Abrahamic faiths all value thankfulness. From the words of King David in the Book of Psalms—“Oh Lord, my God, I will give thanks to you forever” (30:12), to the words of Jesus in the Gospel of Matthew—“You shall love your neighbor as yourself” (22:37-40) and the words of Muhammad in the suras, “Gratitude for the abundance you have received is the best insurance that the abundance will continue,” it is clear we should appreciate what we have. Buddhists give thanks for all that life has to offer, the good and the bad, as suffering helps us appreciate our gifts and become more compassionate. Hindus show gratitude through service and hospitality. Confucianism and Taoism look at gratitude as a key pillar of daily life. Here in Mexico we have the small pewter milagros, expressions of thanks for healing delivered or promises kept. Etruscan culture had similar gratitude offerings, but they were commonly made of terracotta. Many people in the world take classes, participate in therapy, or write in gratitude journals in order to cultivate an attitude of gratitude. Here in Mazatlán, however, it comes naturally to most of us. It’s actually difficult to live among such kind, happy people, in such gorgeous surroundings, and not feel grateful. It is said that gratitude has two components. First is an affirmation of goodness: life is not perfect, but we are able to identify some amount of goodness in our lives. 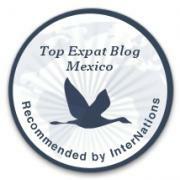 Living here in Mazatlán, we know that things are not always rosy or “paradise”—as the tourist brochures may say. We live in reality, but most of us are also incredibly grateful for the opportunity to enjoy this incredible place, be it our natal or adopted home. Second, gratitude involves a humble dependence on others or a higher power—a recognition beyond personal pride, that something beyond oneself helps us achieve the goodness in our lives. In this case, Mazatlán itself, the beauty of our natural setting, the friendliness of her people, causes a sense of thankfulness in nearly everyone who lives here. Today I was reflecting on our lives here. We’ve been coming here since 1979. We were married here. We raised our son in Mazatlán. We’ve lived here full-time since 2008. I am consistently and eternally grateful, for so very many things. Below is today’s “top 15” list. I’d very much welcome hearing what you are most grateful for in the comments below. Incredible VIEWS—of the port, the ocean, the city, the mountains—including those overlooking the rise of the Super Wolf Moon or the eclipse of the blood moon. Click on the arrow, or just pause and watch, to view each slideshow. The world’s most amazing SUNSETS, not to mention SUNRISES! CULINARY experiences for every palate, from street carts to beach palapas and fine dining, traditional to fusion. Food offerings are anchored in our fresh-caught SEAFOOD: lobster, oysters, scallops, and fish and supplemented by the harvest of fresh VEGGIES grown right here in the tortilla basket of Mexico. The ORGANIC FARMERS’ MARKET on Saturday mornings brings together local and international community members who value health and sustainability. World-class VISUAL AND PERFORMANCE ART—opera, ballet, modern dance, symphony, mariachi, norteño and indigenous arts. Our local art community is both talented and welcoming, more than willing to teach as well as collaborate. Mazatlán is also blessed with an international caliber municipal art school with classes for anyone in the community, and we are, of course, home base to the international music sensation that is banda. A long history as a mixed COMMUNITY OF NATIONALS AND INTERNATIONALS, from back in our heyday as a major hub on the trans-Pacific sailing trade route. This gives me the benefit of LOCAL FRIENDS who teach me so much, are patient with my lack of understanding, and who make me very grateful to call this place home; and INTERNATIONAL FRIENDS who bring me love and understanding in ways that are familiar and comfortable, allowing me to go out and explore and experiment with the new and unfamiliar and also find respite and reflection. Expats here are amazingly talented, adventurous people, give back in hugely beneficial ways to the local community, and make life in Mexico so much sweeter! Any kind of SPORT you could want to participate in: runners have loads of organized marathons, triathlons and 5 and 10k races; swimmers have an Olympic pool, open-water swim club and ocean-fed public pool; we all enjoy the world’s largest open-air gymnasium, the malecón, where you can bike, roller blade, run or walk; hikers can enjoy the lighthouse, Deer Island, or any of a myriad of rustic trails around the municipality; we have baseball, golf, tennis, surfing…. Amazing WILDLIFE! We have BIRD WATCHING: in the mangrove jungle, Estero del Camarón, Estero del Yugo, Playa Norte, the botanic garden… pretty much anywhere in town. Look to the ocean and you can see whales, dolphins and rays jumping. Just outside of town you can enjoy watching and photographing macaws, jaguars, deer or coati, among many other animals. HOLIDAY CELEBRATIONS that people travel across the world to attend, including our family-oriented and inclusive CARNAVAL, supposedly third-biggest in the world, and our DAY OF THE DEAD celebration combining the best of Mexican tradition and innovative artistry. Many mazatlecos are globally minded and talented, so we also are able to enjoy HOLIFEST, ANIME festivals and other innovative events. Loving and inclusive SPIRITUAL COMMUNITIES with services in multiple languages, where we can grow, reach out to help others and feel loved. ARCHITECTURE lovers will find a mix of unique historic buildings downtown in tropical neoclassical style and award-winning modern structures such as the Carpa Olivera remodel or the Montessori school. FIREWORKS nearly every night of the week somewhere in town, and loads of free public entertainment in the various plazas. Nearby SMALL TOWNS to escape city life. These include BEACH TOWNS like Barras de Piaxtla, Stone Island, Caimanero, Escuinapa or Teacapán, where we enjoy dozens of miles of pristine beach. Also wonderful are MOUNTAIN TOWNS such as La Noria, El Quelite, Copala, Concordia, where we can take a day trip to learn about mining, see completely different flora and fauna, or eat fresh cheese and meat. These small towns offer a completely different way of life from Mazatlán as well as local arts and craftsmanship, and the opportunity to take killer night photos of the Milky Way. The FRIENDLIEST PEOPLE you’ll meet anywhere on the planet. I’ve traveled and lived in most of it; I have a bit of experience on which to place my judgment. Here you’ll find the riches of the rich and the poorest of the poor, and most everyone you meet will be eager to offer a smile, a salutation and an offer of assistance. Please remember to let me know in the comments below what makes YOU grateful to live in or visit Mazatlán! All photos are my own, ThruDisEyes.com. Why Do We Love Mexico? The Huffington Post ran a piece a couple of days ago that captured a lot of important information into fewer than a dozen beautiful slides. Covering everything from food and diversity to economics and questions of violence, the slide show helps the viewer get beyond stereotypes to a glimpse of the real Mexico that many of us know and love. Here is there list, or click here to view their slide show. Mexico buys more US American products than any country other than Canada. Some 6 million U.S. jobs depend on trade with Mexico,according to the Wilson Center’s Mexico Institute. Despite the common conception in the United States that Mexico is a poor country, Mexico’s economy is growing faster than its northern neighbor’s — 3.9 percent compared to 1.7 percent in 2011, according to the UK Independent. Mexico has more professional elections than the United States. According to Robert A. Pastor, a professor and co-director of the Center for Democracy and Election Management at American University who has observed Mexican elections since 1986, the Mexican system is more professional, non-partisan and independent than the US American one. Mexico gave the world chocolate, along with corn, avocados, chili peppers, tequila and many other awesome foods. Mexico has amazing cultural diversity. While Mexico may be the largest Spanish-speaking country in the world, that’s not the only language spoken in the country. More than 60 indigenous languages are spoken in Mexico. Mexico is the largest Spanish-speaking country in the world, with a population of 112 million Spanish speakers. Mexico City is massive. With around 20.5 million inhabitants, it sits among the world’s largest cities. And it’s massiveness has a long history — when the Spanish arrived in the sixteenth century in Tenochtitlán, the heart of the Aztec empire where Mexico City currently stands, it may have been the largest urban area in the world. Mexico has awesome beaches, ancient ruins, mountains, and incredible food. Mexico is not as violent as you may think. Mexico had a murder rate of 23.7 per 100,000 residents in 2011, according to the U.N. Office on Drugs and Crime. That’s about equal to Brazil’s and roughly half as high as Detroit. Mexico’s murder rate isn’t particularly high by Latin American standards. Plenty of places in the region have higher murder rates — including Puerto Rico, the Bahamas, and Jamaica. Mexico has a thriving film industry. Many people are already familiar with crossover successes like Gael García Bernal, Salma Hayek and director Guillermo del Toro. But those stars account for just a small fraction of a booming industry. Mexico is home to some of the oldest civilizations of the Americas. Mexico’s first major civilization, the Olmecs,established themselves by around 1200 BC.